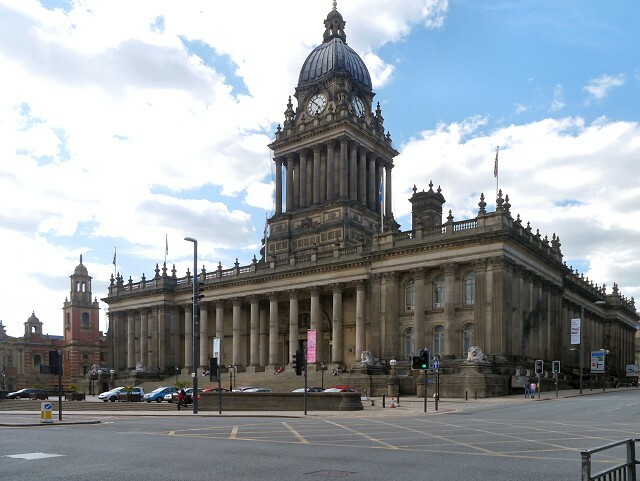 Leeds Town Hall was built in 1858 by Cuthbert Broderick as a symbol of the city’s wealth and as a reminder of Leeds’ newfound status as an important centre of trade and commerce. The building was opened by Queen Victoria during her one and only visit to Leeds. The building is now a popular centre for entertainment, regularly hosting festivals, competitions, theatrical shows and musical events. There’s a previously used police station inside Leeds Town Hall and there are quite a few cells underneath the building. There are even cells hidden beneath the front steps. 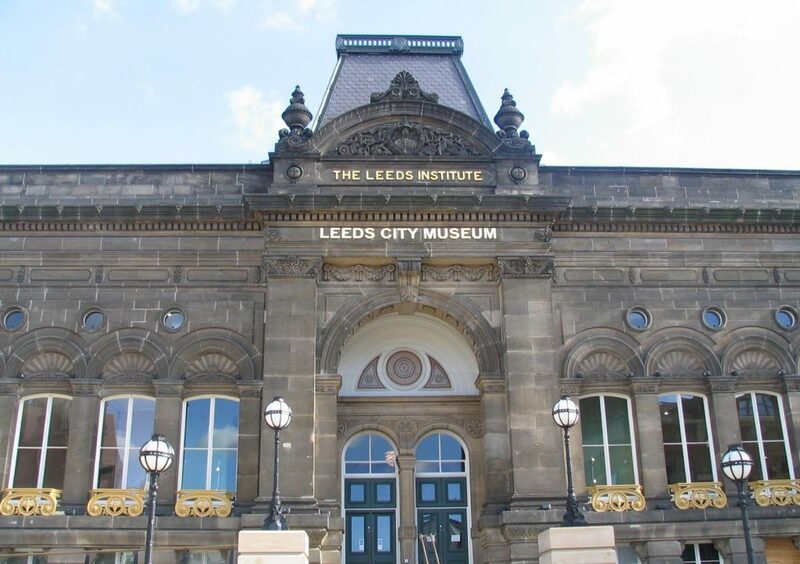 Formally known as Leeds City Museum, Leeds Museum was built as a Mechanic’s Institute by Cuthbert Boderick in 1868. Such buildings were designed to offer working men an education in technical subjects so that the area would benefit from more skilled and knowledgeable workers. The circular central hall (Albert Hall) with its balcony and cast iron columns, was originally used as a lecture room. It has since been used as a concert hall but is now home to the City Museum. Leeds Museum was officially opened in September 2008 to replace Leeds City Museum. Many of the famous objects from the old Leeds City Museum are on display, including the famous Leeds Tiger. 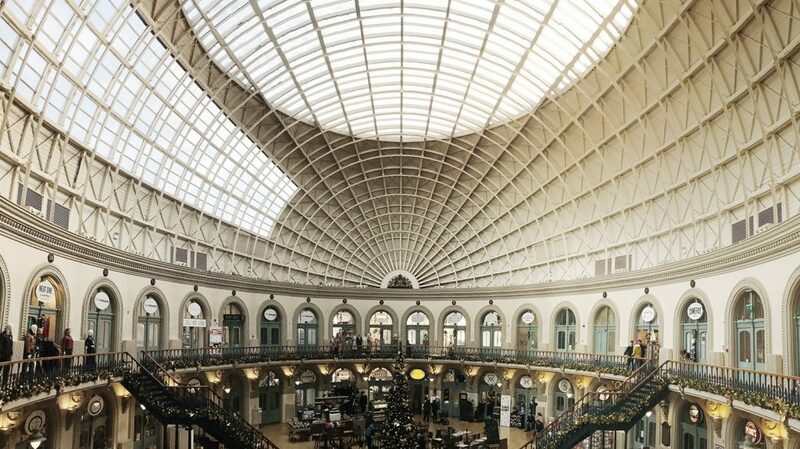 Another on is Cuthbert Boderick’s architectural designs in Leeds is the Corn Exchange. Situated alongside Kirkgate -the oldest street in Leeds, it was completed by 1864. Probably one of the most beautiful examples of Victorian architecture in the city, it was built with an impressive glass dome roof to allow merchants to see the corn they were purchasing from traders. The Grade I listed building is now a popular retail hub of specialist retailers and foodie outlets. Corn Exchange is now listed under the Planning ( Listed Buildings and Conservation Areas ) Act 1990 but it was first listed in 1951. Commissioned by the owner of the Old White Swan Inn, Charles Thornton, in 1875, the building of Thornton’s Arcade was opened to the public in May 1878. One of eight arcades built on the city during the era, Thornton’s Arcade is three stories high with a cast-iron Gothic roof . Inside you will find a large clock with a mechanism created by William Potts and Sons of Leeds. This impressive time piece features four life-sized characters from Sir Walter Scott’s Ivanhoe, sculpted by Leeds Sculptor John Wormald Appleyard. Thornton’s Arcade was originally designed by Charles Fowler but the final design was completed by George Smith. Drainage issues meant Fowler’s design was rejected. The last arcades to be built in Leeds during the Victorian period, were the Cross and County arcades (now known as the Victorian Quarter) and they were built by theatre architect Frank Matcham. 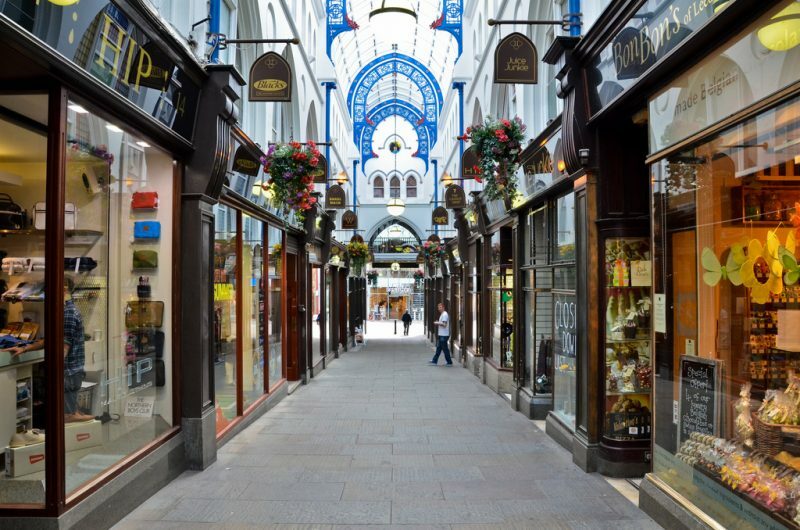 Designed to stand out from the drab, industrial buildings already present in the city, County Arcade features marble columns, cast-iron arches and colourful mosaics. 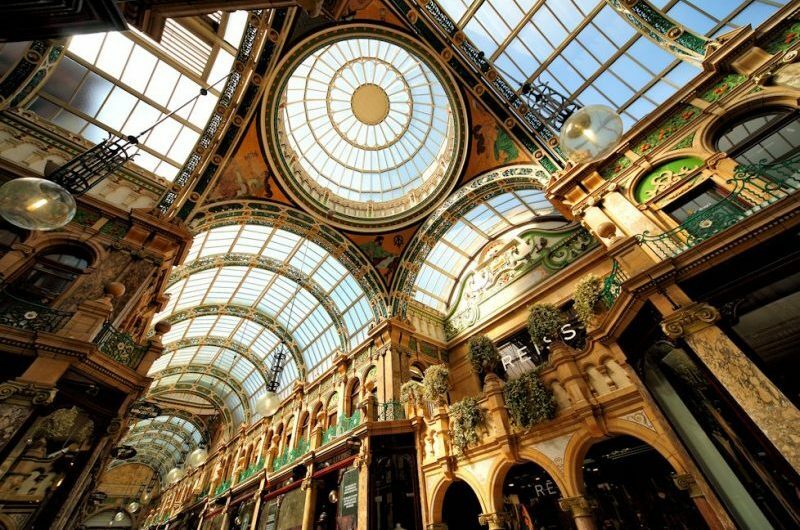 The Victorian Quarter in Leeds is now home to some of the most exclusive shops in the city. Here, you will find over 70 luxury shops including Harvey Nicholls, Vivienne Westood, Mulberry and Michael Kors. Architect Frank Matched, who designed the Cross and County arcades, also designed the London Palladium and Coliseum. We know there are more than 5 Victorian buildings, but these are most certainly our favourites. Do you agree with our top 5 or would you have included others?